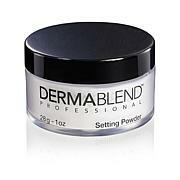 A brush and blurring powder designed to work together to help reduce the appearance of uneven skin tones. A blurring powder that is your new no makeup, makeup look, or apply it over your foundation to give your skin a pop of brightness and shine! 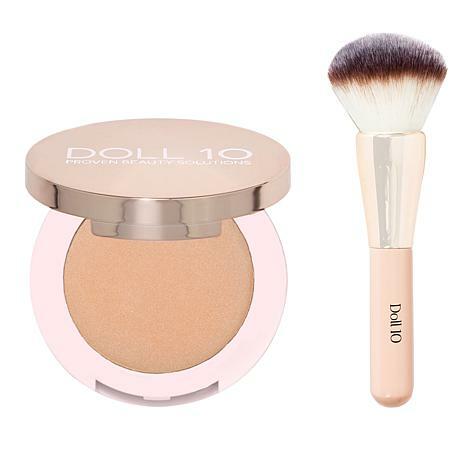 This expert brush is equipped luxurious soft, synthetic bristles that are ideal for picking up the perfect amount of powder. 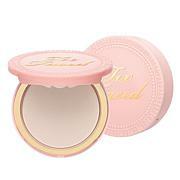 The plump shape complements the circular movements needed to apply and of your powders. 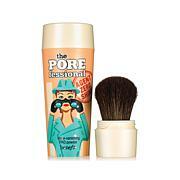 Swirl the brush into your favorite powder and then sweep along the desired area of application. Ingredients: Mica, Zea Mays (Corn) Starch, Squalane, Zinc Stearate, Dimethicone, Magnesium Myristate, Caprylic/Capric Triglyceride, Ethylhexylglycerin, Lauroyl Lysine, Dehydroacetic Acid, Sorbic Acid, Nylon-6/12, Nylon-12, Aqua/Water/Eau, Ascorbyl Palmitate, Olive Glycerides, Stearic Acid, Salvia Hispanica Seed Extract, Hydrolyzed Jojoba Esters, Palmitic Acid, Hydrolyzed Rice Protein, Lauric Acid, Jojoba Esters, Ceramide 3, Sodium Hyaluronate, Benzyl Alcohol, Leuconostoc/Radish Root Ferment Filtrate, Lactobacillus Ferment, CI 77891 (Titanium Dioxide), CI 77491, CI 77492, CI 77499 (Iron Oxides).